At Your Door Events is best known as established Wedding Planners. We love getting to know our couples and helping them create their dream wedding day. We offer a variety of wedding planning packages depending on where you are in your planning process. We can also customize services for you so that you only get exactly what you need. Service fees begin at $2000.00. 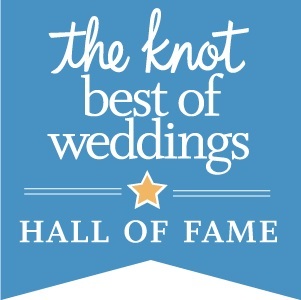 At Your Door Events has been selected as a winner in The Knot Best of Weddings, an award representing the highest-rated wedding professionals as reviewed by real couples on The Knot, the #1 wedding resource. Only 2% of the local wedding professionals have received this distinguished accolade. What elements are important for you in selecting a Wedding Planner?